These last three weeks have been a whirlwind of travel and life happening: first a family reunion with the Tall Man's family at the beach, then his sister's wedding in DC, and then Baltimore this past weekend for 4th of July and another wedding. Whew! In between, I've managed to get some thesis done and meet with my adviser before he heads overseas for research. To say the least, it's been pretty exhausting. And our apartment is chaos itself. But I did want to share a couple little slices of Baltimore - also known as B'more or Balimore. To be honest, it has long been one of those East Coast cities I've never thought to visit. It's pretty close to the Philly area where I grew up, but we've always bypassed it to go to DC, or stopped short of it to go to the surrounding beaches. B'more surprised me, in the pleasantest of ways. The more I learned about it, the more I hunted for more information. It sort of reminds me of Philly in terms of its pockets of fun coolness alongside industrial sites, with aspects reminiscent of Boston (history, walkability) and Seattle (quirkiness). While crime is on the forefront of most people's minds when they think of the city, even its less-than-polished parts intrigued me. (Maybe that's the architect/urban planner or industrial waste enthusiast in me.) 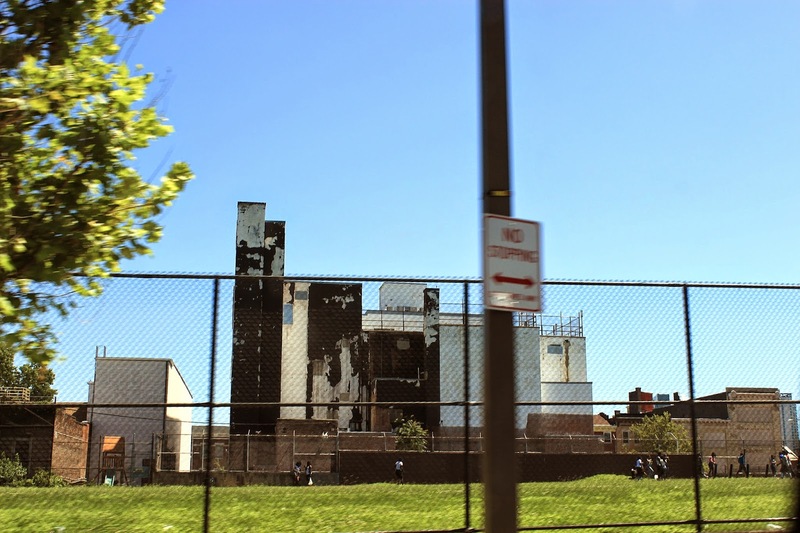 And there were plenty of other parts of the city that charmed me, from quaint Fells Point to cultured Mount Vernon and post-industrial Clippers Mill. 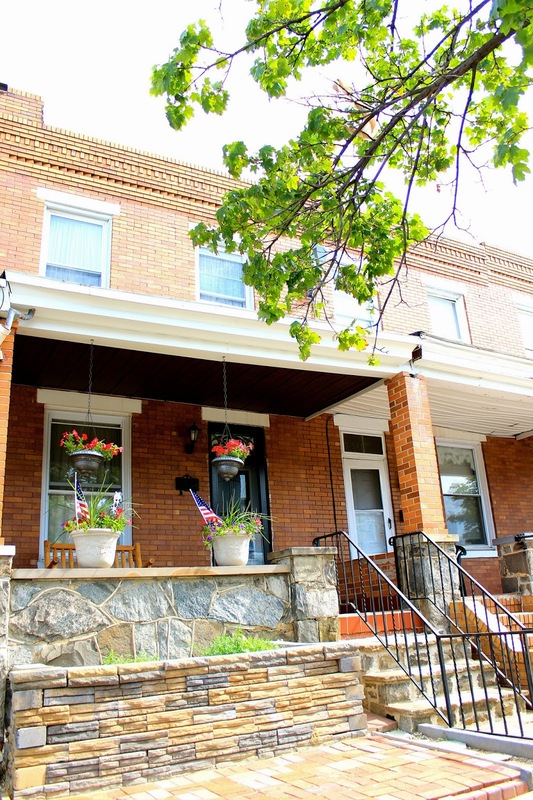 Our "home away from home" and first experience of AirBnB, a rendition of the B'more rowhouse with ample porch (the link has a great runthrough of the various types of rowhouses in the city). The neighborhood had a bit more local color than your average hotel situation, but I loved the fact that most every hour of the day (except the dead of night), people were hanging out on their porches and kids were running in the streets. A little slice of reality in a weekend that could otherwise just be filled with touristy activities. I'm still combing through my photos and processing images and stories from our other trip, so more soon.